With "We Got The Light" by American singer/songwriter Ryan Stevenson getting to number four on the Cross Rhythms chart recently, radio listeners are clearly enjoying a fresh new talent. As it turns out though, the songsmith, born and raised in a small farming community in Oregon, is hardly new to the scene and in the past has shared the stage with such acts as the Newsboys, Group 1 Crew and Third Day. Ryan currently resides in Boise, Idaho with his wife and son where he also serves as the worship leader in his local church. He recently spoke to NewReleaseTuesday.com about his debut EP for Tooth & Nail Records, 'Yesterday, Today, Forever', but began by talking about his early experiences in music ministry. "I grew up playing the drums. When I was 18 I got my first guitar. I started playing in college. My neighbour across the hallway was a guy named Paul Wright. We just hit it off and became really good friends. That was probably when I felt more of a call and a passion to do music. What compelled me? You know, I could never rest. It's weird. I remember when I was a little kid and I heard a Petra praise tape. It did something. It ignited this piece of my heart inside of me that I couldn't ignore. I remember going through my life always having this area - this passion that resonated with praise music. I didn't really understand it, I just knew that it was there, and it made sense. I grew up listening to pop music. I love Top 40 pop music. But my heart has always been for worship." 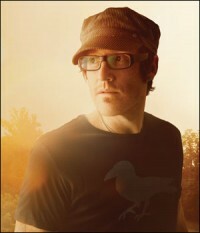 While attending Northwest Christian College in Eugene, Oregon, Ryan formed an acoustic duo with fellow Christian artist Paul Wright and played in local coffee houses. After adding a full band to the mix, they played throughout the northwest, packing venues and opening for renowned Christian artists. When Wright pursued his solo career, Ryan worked with him as a co-writer, singer and guitarist on each of Wright's mainstream releases. Ryan's own music reflects the wealth of experience garnered from his time with these endeavours. In 2003, Stevenson moved to Boise, Idaho. He continued writing songs, leading worship and performing in small venues, all while working as a front line paramedic. Ryan spoke about his 'Yesterday, Today, Forever' album came about. "I have really learned to never despise the things that feel mundane to us. The seasons where we feel like we are going nowhere. Before I was in music full time, I was a full time paramedic for seven years, here in Boise. God used that job to really break my heart and to give me a sensitivity for life and for people who are hurting. One incident in particular that has changed my life was when I had responded to a call for a lady who got struck in the head by lightening. I was one of the paramedics who helped revive her. Several months later we met up at a breakfast that the county put on. It was like a 'meet your hero' type event. We really hit it off and she said to me, 'If there is anything that I could ever do to help you, don't hesitate to ask.' Obviously I was never going to ask her to do anything, I don't do that, I was just doing my job. But about a year later I was approached by some people who had said that they wanted to help me with recording some music. I had just won the Idaho state Battle Of The Bands. The grand prize was money and studio time. So I already had my foot in the door with recording a record but I was short on some cash to finish the project. "In the back of my mind I remembered what that woman had said to me, a year before, at the county breakfast. I was hesitant, but I called her one day out of the blue and said, 'This is gut wrenching and embarrassing but would you be interested in helping me make a record? This is how much I have, this is what's going on, etc. If you are interested in helping me, that's great; if you're not, I love you just the same.' She didn't even ask questions, she just gave me the money. That EP is what got me my management deal and my first record deal. It's what brought me into the season that I'm in now. "Looking back on the last few years I have questioned God so many times. He knew my passions, but I felt like I was stuck as a paramedic. I knew that there was more but I couldn't quite seem to get there. It really validates the Scripture that talks about how his ways are not ours, they're much higher. I've learned to never question him. He knows what he's doing. When you really believe God and trust him with your life, he takes you on the most bazaar journey. He takes things out of nowhere and does the impossible. That's why it is so exciting to follow him." Apart from the captivating "We Got The Light", another exceptional song on Ryan's EP is "In The Sun". He explained, "It is birthed out of a season where I just lost my mom. My mom died two years ago to bone cancer. When she died I just hit a wall. I really remember just emotionally spinning out of control and having crazy thoughts. Every ounce of insecurity and identity issues that I had stuffed in my life came boiling to the surface. I had no idea why, I couldn't control it. I would find myself sobbing all day. My mom and I were best friends. I am the only son; I'm the baby of the family. She was only 57 years old. I still felt like a kid. I still needed her. She was the one who really nurtured my music and she was the one who always prayed for me. I knew that the Lord was going to take her, but as much as you prepare for it, it never ends up being like you thought it would be. The images of your mom being wheeled out in a casket just get stuck in your mind and they linger there. I wrote 'In the Sun' out of that emotion and out of that chaos. I knew that God couldn't do what he wanted to do in me unless I was at the end of myself. That's really how I want my ministry to be. I don't want to be afraid to let people see what's behind my curtains. I hope to be a voice that can bring truth and life to any hard situation. 'In the Sun' really carries that message."